Enhance your SharePoint on-line list forms with powerful field validations! 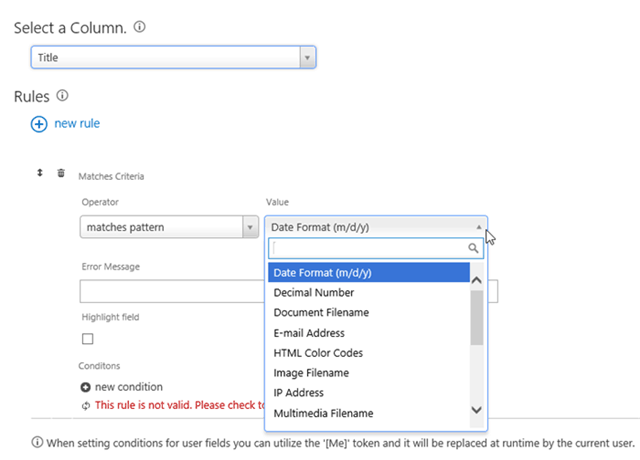 Easily configure field-validation rules to enforce input patterns according to your required form logic: email, field length, ID, value ranges and any other custom pattern using regular expressions! By using a simple and intuitive settings page you can quickly configure dynamic validation rules. We all got used to working with SharePoint lists and document libraries. It is only natural to expect these list forms (New, Edit, View) to include all required web form features, instead of making us buy and learn a separate Forms technology such as InfoPath or any other external form tools. The Field Constraints app is part of KWizCom Forms app, which allows SharePoint 2013 on-premises and Online (Office 365) customers to keep using the well-known list forms by turning them into powerful & dynamic web forms. This way there’s no new technology to learn and deploy, simply keep using the same SharePoint list forms that now can include all the missing web form features. 01 In this video you'll learn how to add dynamic field validation rules to your KWizCom forms. This app is part of KWizCom Forms App. Click here to view product release notes. You will be redirected to the Microsoft Apps Store. Install the free version. This version includes a message that indicates that this is a free trial version. Install the KWizCom Apps Foundation. This option is relevant to customers who do not want to install apps from the Microsoft apps store and prefer to manually add the .app files to their internal catalog, so users will then install apps on their sites only from the company’s internal catalog. To learn more about how to manage your company’s internal App Catalog, please refer to the relevant Microsoft documentation for SharePoint On-Premises and for SharePoint Online. 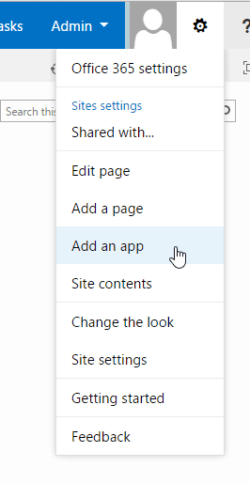 In case you manually add an app to your internal catalog in on-premises SharePoint 2013-2019, you still need an active connection to KWizCom’s CDN (apps.kwizcom.com), so you cannot have this in a completely closed environment. 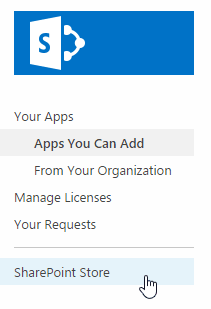 You cannot have the same app installed both from the Microsoft App store and from the company catalog at the same time within the same site collection. That would give an error during adding the app. Clean your browser’s cache and close all browser windows. All listed prices are in US dollars (USD). Prices include free version upgrades and support services according to our Standard Support Plan. Per-user subscriptions are limited to a single site collection. S.C subscription= Single site collection, up to 300 users.